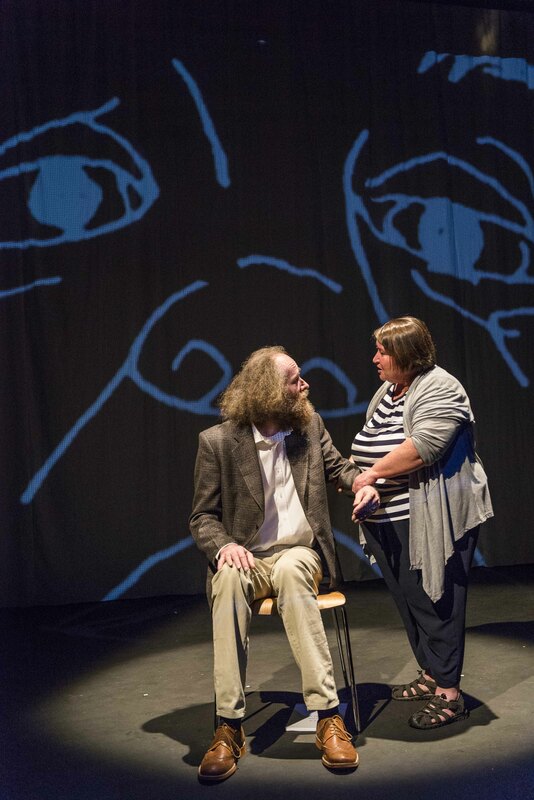 For the past 15 years, Milk Crate Theatre has been working with people who have experienced homelessness and social marginalisation to create theatre that builds their confidence and helps them make positive changes in their life. At the same time, the stories they tell, drawn from their own experiences, challenge and inform audiences by putting a human face to social issues so many of us in Australia are lucky enough to have only read about. 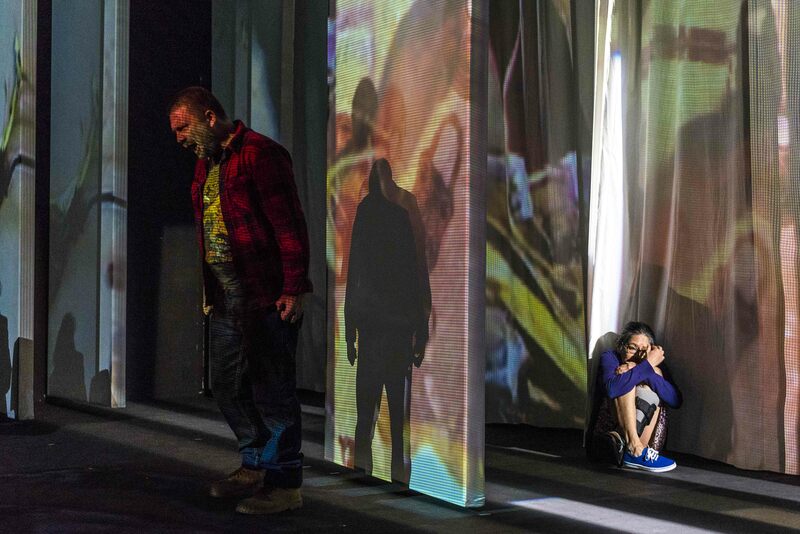 This House is Mine, presented by Milk Crate in association with Darlinghurst Theatre Company, began with discussions around the complex issues surrounding homelessness, with mental health emerging as a theme that participants wanted to explore. (According to the program there are more than 20,000 homeless people in Sydney on any given night). On paper, This House of Mine sounds like a tough night at the theatre – and it certainly doesn’t pull any punches. But it’s an absorbing, poignant piece with laughter, tears and tenderness as well as darkness and brutality, and it speaks with a great sense of shared humanity. 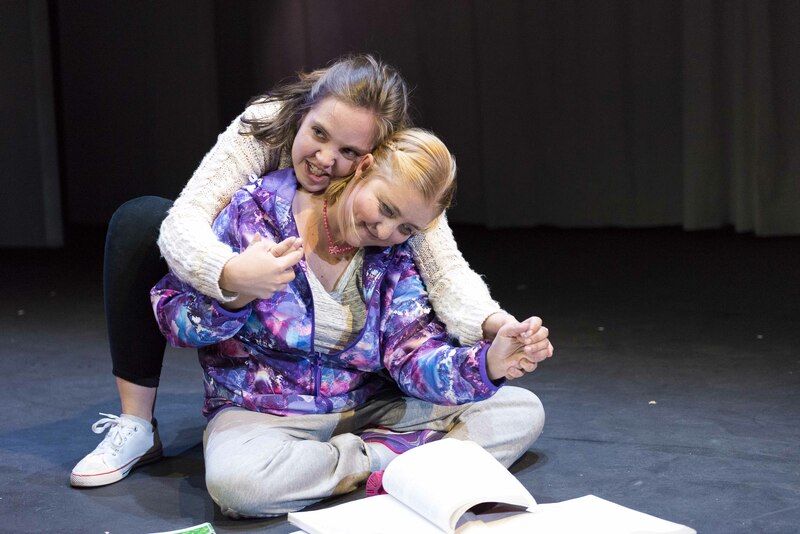 Written by Maree Freeman, the artistic director of the company, and directed by Paige Rattray, the play weaves a web of stories performed by six people from Milk Crate’s ensemble of more than 40, along with one professional actor (young NIDA graduate Contessa Treffone). In between scenes, other members of the Milk Crate community talk in video interviews about their experiences and perspectives on the issues raised. Entering the theatre, there’s a line of chairs on stage, a TV monitor to the right of the stage, and some sliding screens at the back (set design by Hugh O’Connor). It looks as though it might be one of those pieces of verbatim theatre, where the performers essentially sit and talk but it’s not like that at all. 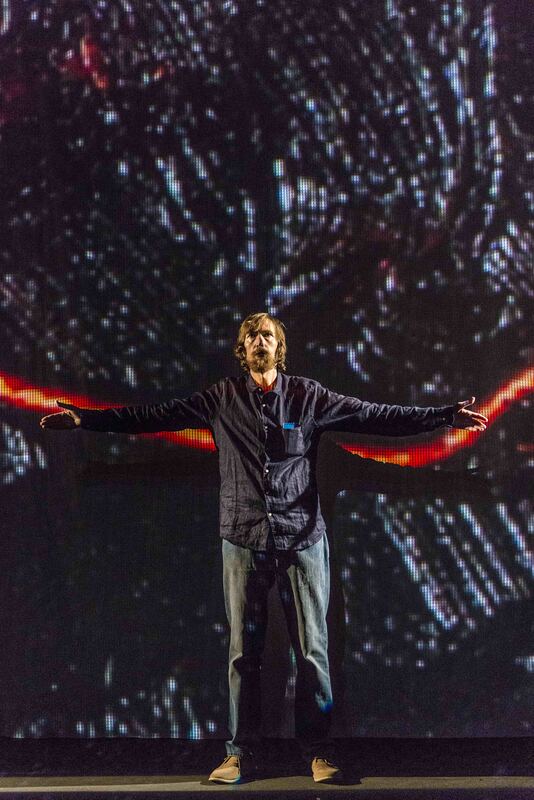 Rattray’s staging is simple but effective as the stories unfold, using the screens to create different spaces, with video imagery (designed by Sarah Emery with Sean Bacon as consultant) giving us an insight into the turmoil within the minds of some of the characters. Tom Hogan’s sound and Ross Graham’s lighting help create a strong sense of mood. The play begins with two characters standing facing each other while their phone conversation is relayed in voice-over. Evelyn (Veronica Flynn) is worried about Jason (Matthias Nudl) who suffers from depression. From there we meet Frank (John McDonnell), a gentle psychiatrist with a wild shock of hair who is in the early stages of dementia and will soon have lost touch with reality. The final scenes between him and the spirited, motor-mouthed Evelyn, who is his daughter, are terribly moving. There’s also Clem (Fabiola Meza), the abused wife of Mack (Chris Barwick), whose moods swing violently, and Clem’s estranged daughter Brooke (Rach Williams) who can’t understand why her mother doesn’t leave. Brooke, who not surprisingly finds relationships hard, is living with girlfriend Anna (Treffone), who is initially a livewire then descends into schizophrenia. The lack of acting technique among the cast actually adds to the feeling of authenticity. All the performers are convincing, drawing us into their respective character’s stories. The scenes of domestic violence between Meza and Barwick feel particularly, chillingly believable, while Treffone handles the difficult role of Anna with subtlety. This is My House is powerful and empowering theatre. Told with disarming honesty, it feels raw and real and very moving. After the final performance on March 22, there will be a post-show panel discussion hosted by Milk Crate in partnership with the St James Ethics Centre. Entitled Breaking the Cycle: Why does homelessness still exist?, moderator Dr Simon Longstaff, Executive Director of St James Ethics Centre and panelists Katherine McKernan, CEO of Homelessness NSW, Ronni Khan, CEO of Ozharvest, Steven Persson, CEO of The Big Issue, Toby Hall Group CEO of St Vincent’s Health Australia, and Milk Crate Theatre ensemble artists will explore how they, as a community, move forward to break the cycle of intergenerational disadvantage. This House is Mine runs at the Darlinghurst Theatre Company until March 22. Bookings: www.darlinghursttheatre.com or 02 8356 9987. This entry was posted in Theatre and tagged Chris Barwick, Contessa Treffone, Fabiola Meza, Hugo O'Connor, John McDonnell, Maree Freeman, Matthias Nudl, Milk Crate Theatre, Paige Rattray, Rach Williams, Ross Graham, Sarah Emery, Sean Bacon, Tom Hogan, Veronica Flynn by jolitson. Bookmark the permalink.